Elite Airways is proud to call Portland its home base of operations—a bustling city that serves as the southern gateway to one of the most picturesque states in the country. Surrounded by water, mountains, lighthouses and brownstone buildings, Portland is stylish and sophisticated, yet remains genuine and unpretentious. The Greater Portland region offers a variety of activities from sightseeing and outdoor adventure, to shopping, arts, dining, and so much more. Elite Airways flies in and out of the Portland International Jetport (PWM), which is minutes from the downtown area. Home to one third of the state’s residents, Portland offers a thriving business center, charming tourist attractions, fine restaurants, and spectacular water views. Elite Airways is pleased to offer scheduled non-stop flights between Portland, Maine and the Orlando-Melbourne airport, starting in December of 2015. Please refer to the Elite Airways website for exact departure and arrival times between Portland and Melbourne, and additional connection destinations. Click here to check flight availability. The Portland International Jetport is located at 1001 Westport Street, less than 10 minutes from downtown Portland. The Elite Airways ticket counter is located in the main terminal. Arriving passengers may collect their luggage at the main baggage claim, unless directed otherwise by the Portland Jetport airport. Click here for airport website. The Portland area offers a range of cultural activities found in any major metropolitan region, while maintaining a small town coastal charm. 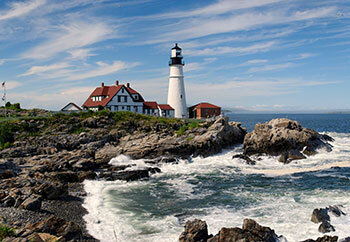 Enjoy Maine’s coastline, visit art museums and galleries, and plan a day trip with a guided tour or whale watch cruise. Click here for more information. Click here for more information. Touring the Maine coast is an extraordinary journey. With more coastline than California (3,478 miles), there are so many diverse areas to explore along the entire Maine Coast. The State of Maine is larger than the other five New England states combined. With a sprawling coastline and many shore routes, touring the scenic Maine Coast is time well spent. Stop and savor a guided architectural walking tour of a lighthouse, take a breathtaking whale watch cruise, or enjoy a sailing charter of the scenic Casco Bay. Within the city, visitors can enjoy the Portland Freedom Trail, a permanent self-guided walking trail of thirteen marked sites. Just south of the city, stroll along the famous Marginal Way in Ogunquit, or drive to the Nubble Lighthouse in York Beach and enjoy a close-up view of the spectacular coastal beauty that Maine offers. Maine seafood is a half-billion dollar industry that supports fishing families, working waterfronts, local economies, and the state’s heritage. Foodies can explore the culinary offerings of many of Maine’s renowned eateries. On a tasty Maine Foodie Tour, you will interact with culinary artists and taste their creations, learn about Portland's culinary history and current scene with fun-loving guides on a 2-3 hour walking tour about town. Don't forget about seeing all the local breweries... boasting nearly 40 breweries and over 100 different brands of quality handcrafted beer, the Portland area offers a variety of local breweries to savor and enjoy. 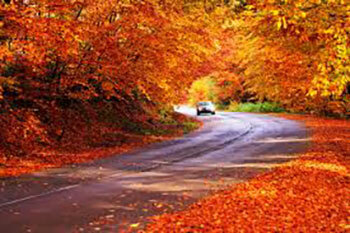 Maine is a state that can be enjoyed during all four seasons. As winter makes way for spring, maple syrup flows and flowers bloom. Spring marks opening day for baseball, museums, and many seafood restaurants throughout the region. Some say that summer in Maine is magical, with sunny and breezy days, and cool, clear nights. There is no shortage of things to do – from a historic tour, to a boat ride, a hike or a trip to the beach. Fall in Maine brings crisp air, gorgeous foliage, and plenty of breathtaking views. 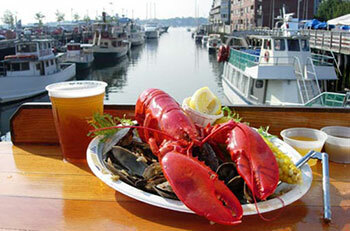 Take a "leaf peepers tour” or enjoy a hearty meal when Maine seafood is at its peak. As winter approaches, the greater Portland area offers an abundance of outdoor recreation in winter, including cross-country skiing, ice skating and sledding. Or, sit down at one of the region’s cafes and enjoy a steaming cup of hot chocolate or a warm cup of tea.